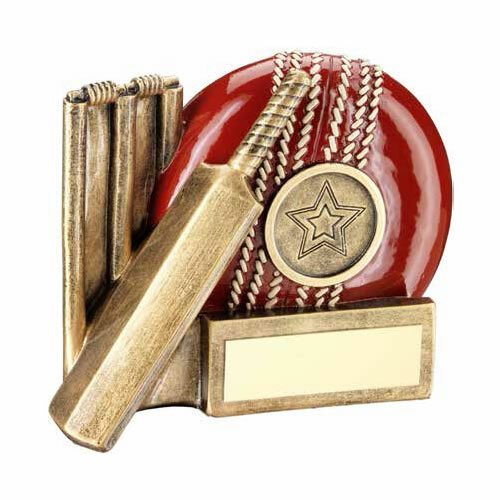 These versatile cricket awards trophies are made in durable resin and feature a red cricket ball with 1in centre, cricket bat and stumps set on a base with engraving plaque. Available in three size options, suitable for both individual player awards and for team competition prizes, they are offered with text and/or logo engraving. Looks better than the internet picture, was very happy to present this to our winner. Would buy again.